If you are a Beginner or New to Drones, Let Us Help You Buy Your First Drone. If you are new to the world of drones and you are looking to buy a drone for yourself or your child it can be very easy to get overwhelmed. This is why I created this site. To offer drone reviews, tips, videos, etc. that will help you buy your first drone. There are numerous quality drones under $500. You can get started flying a drone without spending a fortune. Review our list of the top 10 drones that include a Camera and GPS to make it easier to fly and get the shots you need. What Are the Best Drones to Buy in 2019? When I first started looking to buy my first done, I didn’t know what I should be looking for when buying my first drone or what a good drone costs. 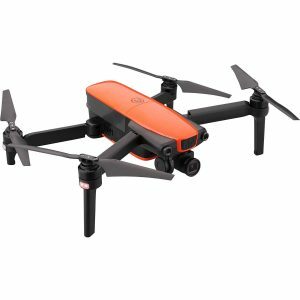 I wanted a site that gave me some tips on what I should be looking for and then showed me lists like, “top 10 drones under $300“, or the “best drones for beginners” so I could easily compare the best selling, best-reviewed drones. This way I could see the top drones right off the bat and not waste my valuable time looking at drones that had bad reviews. I hope this site that I’ve created can help you easily choose your first drone and that you will love flying yours as much as I do. Drones/quadcopters with cameras are a great way of reaching video and photo shots you would never have been able to reach before. Using a drone or quadcopter with a camera, you can get video from the skies, and you’d be surprised how affordable drones have become. If you are brand new to the world of drones I highly recommend my Drone Beginners Guide which will quickly get you up to speed on the features your new drone should have. Here are some important features that I think you should consider when buying a drone. Drone Flight Time – Most drones over $400 come with about 20-25 minutes of flight time per battery, while drones under that price point tend to have around 8-15 minutes. If you plan on going with a drone under $100 you can expect 6-8 mins. The Remote Controller (Specs/etc.) Phone attachment, built in screen, backlit screen, size, etc. Most drones allow you to use your phone or tablet as a screen. Flight Range – How far and how high do you want to fly your drone. The FAA says you are not supposed to have the drone out of your visual eyesight, but most drones under $200 go about 100 meters, but if you go with a drone around the $200+ mark you can reach about 500 meters. 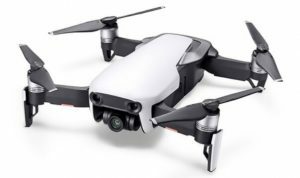 Some drones on the more expensive end can go up to 4 miles like the DJI Mavic Pro. As a beginner, this is the least important feature I think. Any drone over $200 will go plenty far enough since you should keep the drone in eyesight at all times. Drone Camera – Some things to think about are camera mount and gimbal, 4K, image stabilization, etc. Having a camera that can turn side to side and up and down makes the drone experience much more fun. Flight Modes – FPV (First person view), live feed, etc., auto-flight mode to fly via GPS (orbit, follow me, return home and others), hover, headless mode, & manual modes. From researching, most users tend to like when drones have a hover feature that will make the drone hover when you take your hands off the controller. 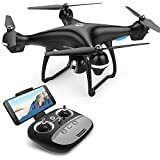 Features – Return home button, auto take off and land buttons, tricks, and flips, FPV, altitude hold, hover, prop guards (safety feature), low battery indicator. Return Home: automatically return the drone back to launch location, using a single button. GPS Flight Assist: Having GPS assist makes flying a drone much easier. When I was a beginner, this made me feel much safer. Beginner Mode: Some drones have a beginner mode option. This helps you learn the ropes without giving you absolute flight control. Very helpful. Emergency Landing: if problems are detected by the drone such as low battery life, automatically attempt a safe, controlled landing or execute the return home mode. Auto-Hover: sometimes called a “Panic Button”, hover mode immediately stops all forward motion and hovers in place. Important when wind or weather conditions temporarily ruin a shot; or, if you lose sight of the drone and no longer have video stream or telemetry data to confirm its position. Headless Mode: A very good flight mode for a beginner. Watch this video to learn more about Headless mode and what it means. Changing a Battery: – How easy is it? Some of the lower priced drones don’t have batteries that slide in and out. They can be a little tricky when you want to change a battery. 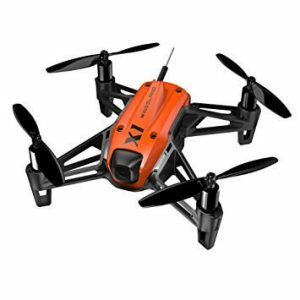 Drone Weight: – If your drone is too light you will have a very difficult time flying it outside. With the drone I have, (Holy Stone HS200), if I try to fly in any wind over 5mph it becomes very hard. If you live in a windy area I recommend buying a drone with a little bit more size and weight. In addition, GPS lock will also make a big difference. 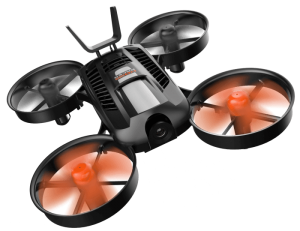 Flying time up to 15 minutes / Longer control distance: Capacity of 2500mAh high performance battery and reaching up to 500m control distance giving you a more extensive flight experience. Still Not Sure if Flying a Drone is For You? Check out my 2019 Drone Buying Guide for Beginners. If you’ve just purchased a drone here are some recommendations before you fly. Go to a park, field or big empty area with no buildings or wires. Early morning flying is usually better due to less wind. 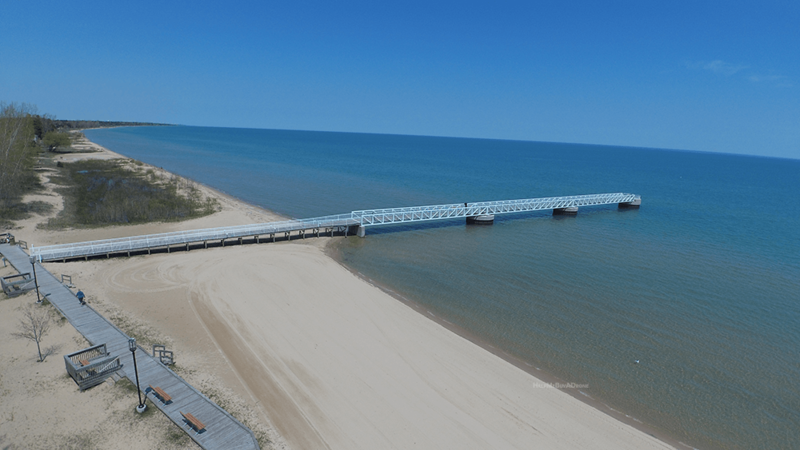 Don’t fly your drone with other distractions…focus on what you are doing. Stay away from people, animals, power lines, and water. Know your limits, take it slow. Most drones come with a beginner mode. I recommend you use it. Read the Manual….Then, read the manual again. Watch videos on YouTube of others using the drone you have. **You took your drone outside and got it stuck in a tree…What do you do now? The first time I took my little Holy Stone outside I got it stuck in a tree. I went to a soccer field by the local high school. I was flying just fine and was starting to push the battery life limit (6-9 mins.) and I thought I would take it up one more time. Unfortunately, I got a little too high, caught some wind and it took the drone across the street and into a subdivision. It came to rest on the top of a 23-foot tree. It showed me just how fast you can lose control of your drone so be careful. If you do get stuck in a tree here is a site that has some good tips on getting it down.